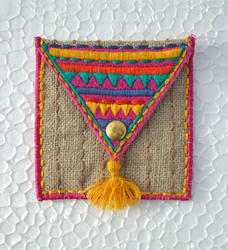 Kutchi Embroidered Square Bags of Satin silk fabric. 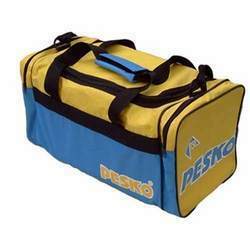 To furnish the diverse requirements of our clients we are concerned in offering a wide range of Square Shaped Box Bags. These are manufactured using superior quality material in compliance with the international quality standards. Offered products are available in different sizes and colours as per the customers choice. These are tubular FIBCs, where the loops are lock-stitched on to the reinforced part of the bag’s main body. The loops are made stiffer and hence it retains its shape and makes it easy for the forklift operator while during material handling. Fair Deal Multiagency Pvt. Ltd.
U or 4 Panels with Flat fabric with Lifting loops sewn to the vertical seams. U or 4 Panels with flat fabric with lifting loops sewn cross corner. Small, handy square bag made from cotton with embroidery and sequenced patterns.